The World’s Largest Truck Convoy at Hoffman Estates on Aug. 29 at the Sears Centre was a huge success with 67 trucks participating raising more than $19,000 for the athletes of Special Olympics Illinois. If you weren’t able to join the fun in August, another Truck Convoy will be Oct. 10 at the Hollywood Casino Amphitheatre in Tinley Park. That convoy, in its 11th year, will travel 22 miles along I-80 and I-57 before returning to the starting location, where for a celebration with Special Olympics athletes, families, the community and law enforcement. Tony Schmidt, President of Mr. Bult’s Inc., has participated in the Truck Convoy since 2005 when it began in Tinley Park. This year, he also participated in the Hoffman Estates event. “This is the one day in the year that trucking and law enforcement are pulling the same rope in the same direction. We are all just doing something to help a great cause,” he said. 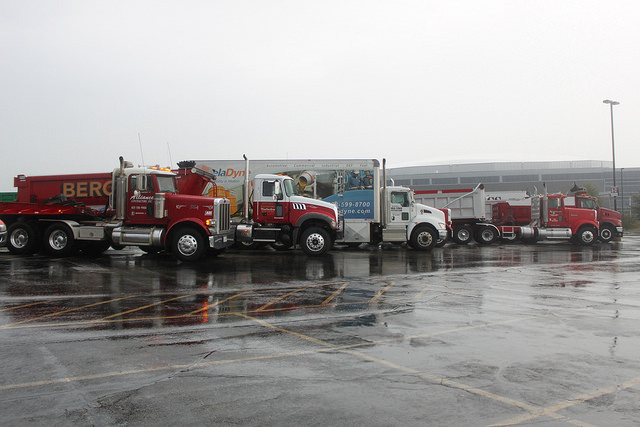 To register for the Tinley Park Truck Convoy, contact Katie Herriott at 309-533-3725.